Meet Evelyn Walker, a single, confident thirty-something running her own international meeting and event planning company. The last ten years of hard work have paid off, and with enough events scheduled to take up the next five, Eve has established herself as one of the top meeting and event planners in the West. And yet, suddenly, she can’t seem to quiet her inner voice, which is begging for a different life—a life beyond work. When approached by Miles Emerson, a long-standing client and Adonis of a man, to organize a monstrous last-minute event in Amsterdam, her inner and outer worlds begin to collide. With massive reservations, Eve accepts the challenge and embarks on a globe-trotting journey that lands her in a variety of odd places, spaces, and situations that she never could have imagined. Can she actually pull off one of the biggest events of her career? And more importantly . . . can she have a life while trying. 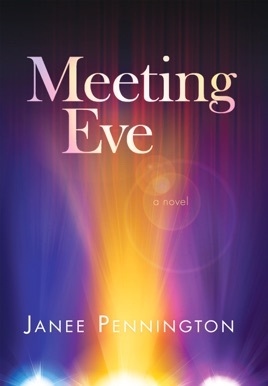 Meeting Eve is a fun read. The author truly paints the picture of the ins and outs of a meeting and event planner's crazy busy life. The reader gets to see the exciting life though the eyes of one of the best in the business. Even though Eve is constantly overwhelmed with creating the most exotic parties around the world, she has a huge heart and still makes time for her friends even if it means she never gets to sleep. I love how the reader gets to go inside Eve's head and know what she is really thinking when she interacts with the multiple characters in the book. I look forward to what this author cooks up next. Meeting Eve accompanied me on a recent trip to Honolulu and kept me enterntained all the way. Fast-paced and fun, the story grips from the first paragraph to the last. Balance between plot & characterisation was both skillful and enough to leave me asking for more!